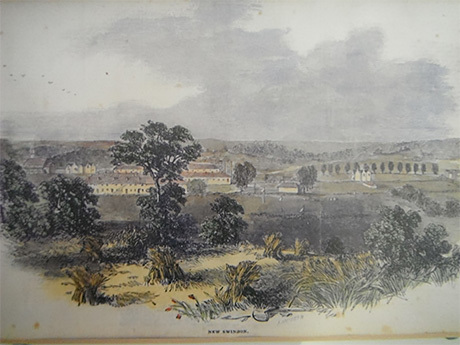 The coming of God’s Wonderful Railway, otherwise known as the Great Western Railway (GWR), transformed Swindon from a quiet market town to the largest town in Wiltshire. Linking the south-west, west of England and most of Wales with London, this railway system was founded in 1833, and was regarded as the most advanced railway system in the world. 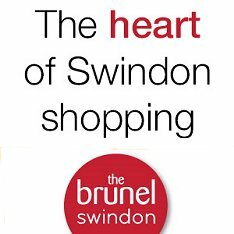 Swindon was chosen by the Victorian engineer Isambard Kingdom Brunel and his assistant Daniel Gooch in 1840 as the location for the engine building and maintenance works, with the workshop officially opening three years later. And now, The Marriott Swindon Hotel is exploring the history of Swindon's extensive GWR works to mark this 175th anniversary. It was primarily a centre for maintenance and repair works, but the depot had several uses. It contained a Running Shed, where trains could be on standby, ready to be changed over with incoming locomotives. Offices were also contained in the works, with admin and general organisation being in full force. Over the course of the next century, the depot continued to develop. By the 1930s, the workforce had expanded to around 14,000 employees, many of which were women. The works themselves covered more than 300 acres, and were able to build three locomotives a week. Swindon was a small settlement, so as work demands grew, more workers moved to the area from the rest of the country. A planned village was created to house these workers and their families, with the new streets being named after the destinations of passing trains. 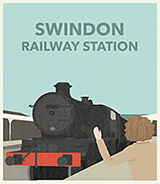 When the works began building actual locomotives from 1846 onwards, both the workforce and Swindon grew. Educational and medical facilities were brought to the area, as well as shops, a church and a public house. The Swindon Mechanic’s Institute was also built – a building paid for by Great Western Railway workers. It contained health services as well as the UK’s first lending library. When it was expanded in the 1890s, it was opened to other local workers. 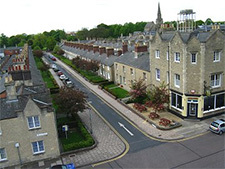 Many of the buildings in the railway village – some listed – can still be seen today, after their demolition was campaigned against in the 1960s. In 1948, the nationalisation of the rail transport system took place. This meant that the ‘Big Four’ - the Great Western Railway (GWR), the London, Midland and Scottish Railway (LMS), the London and North Eastern Railway (LNER) and the Southern Railway (SR) – were joined together as British Railways, consequently leading to the decline of the railway works. 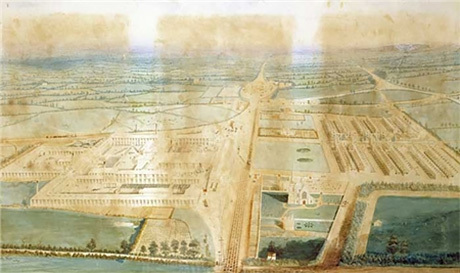 Building and quarrying had become important industries in the area though, and so the closing of the works – although unfortunate – was not too detrimental. The rich history of the railway in Swindon is still very much alive at STEAM - Museum of The Great Western Railway, where a Wall of Names honours the thousands of men and women who made the works so successful. Visitors to the museum can climb inside locomotives, speak to knowledgeable former railway workers, discover what it’s like to change the signals and be an engine driver and learn all about the life of IK Brunel. After a recent expansion, the restored railway housing now plays host to the Swindon Designer Outlet. There are over 105 stores integrated within the ornate surroundings, and there’s even a steam locomotive on display in the food court! Rest in luxury at the recently refurbished Swindon Marriott Hotel before exploring this area of Swindon. It’s the ideal spot for a fulfilling day out, particularly if you’re looking to experience the town’s friendly atmosphere. > Marriott Swindon - more info.